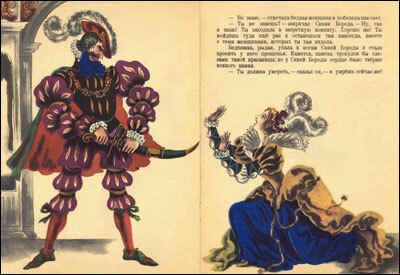 Coilhouse » Blog Archive » Russian Illustrated “Bluebeard” – Y’Know, For Kids! 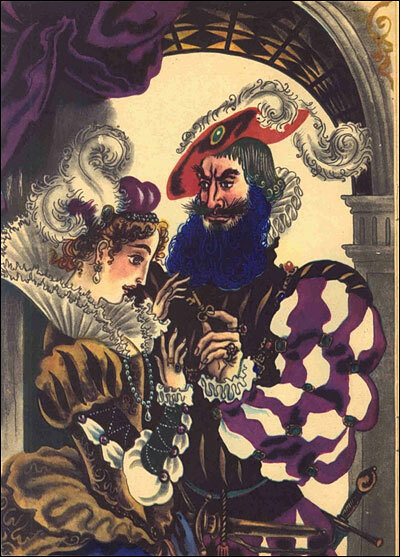 Russian Illustrated “Bluebeard” – Y’Know, For Kids! 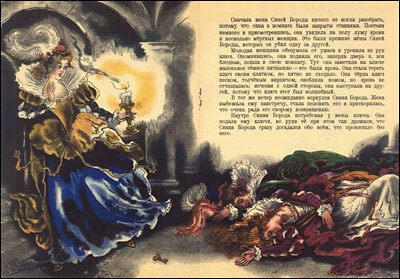 And just so that you don’t think Russian children’s books are all sunshine and rainbows, here’s an illustrated version of the French tale Bluebeard from the Soviet era. For all the full images, click here. Perhaps it’s good to have a children’s book that tells the story of misogyny straight-up, without wrapping it up with singing animal sidekicks and happy marriages. Beautiful illustrations, creepy tale. @Marina – I had it too, and it was really upsetting! I can’t believe this book was intended for preschoolers. WTF. I like a world where people can freely choose to be whoever they want to be, or feel they are… are we formatting our youth to play roles by the toys, game, behaviors, and norms we feed them? You bet! When someone comes along that defies the “accepted norms”, they are instantly shunned (like a leper, Old Testament style). I like The Little Mermaid reference, in your assessment of the message it sends. I do think many people give up their dream, far too often. The scenario applies to anyone really. Be interesting to see if Disney out an element of reality in one of their works, but I don’t think it would be a smashing hit (you know people, they want to see the warm fuzzy ending). To quote someone, who would clearly understand this, “Well they should be disturbed/ because there’s a story that ought to be heard…”. Simply put, stories of reality aren’t always happy; that doesn’t make them any less significant (maybe even more relevant). I had this book as well, and heard the story many times when I was little, but never thought the thing scary. It was just a dark fairy tale; the creepiness factor was sort of satisfying I recall. 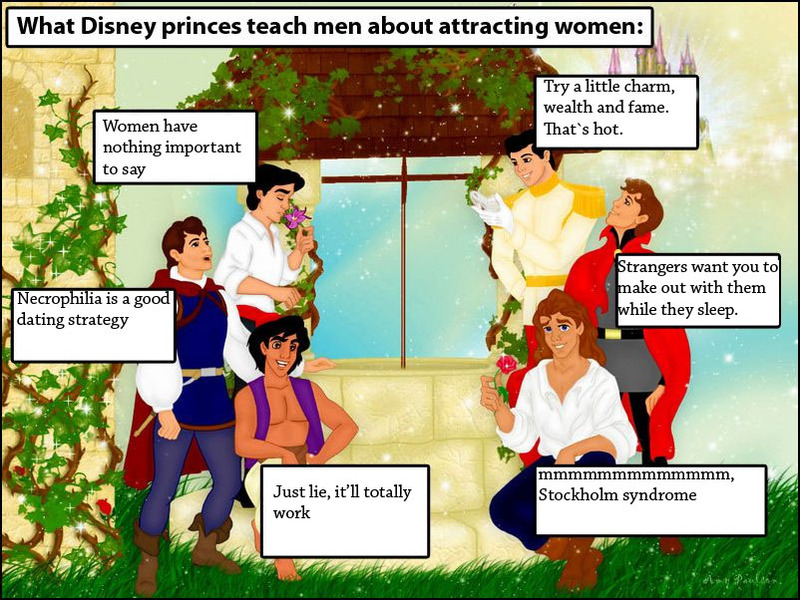 Now of course I do find it ew…awful and never read it to my kids.